My days seem to get busier and busier, and life with a toddler and baby doesn’t seem to slow down. Most days were busy on the go running errands, driving to and from pre-school, or play-dates with friends. 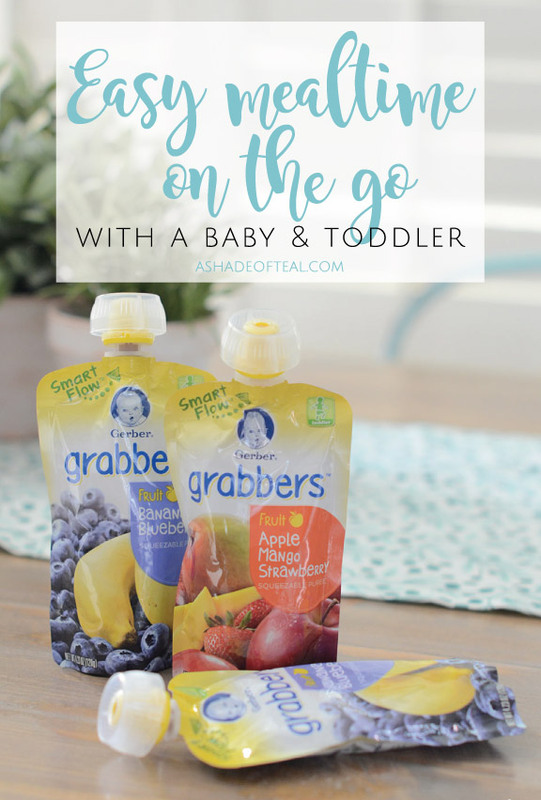 When it comes to mealtimes on the go it doesn’t have to be difficult, that’s why I shop at Ralphs and buy Gerber® Smart Flow™ Grabbers Pouches. Getting my toddler to eat is pretty challenging, and when I say eat I mean nutritious food. For whatever reason getting her to eat healthy on the go is a whole other problem. 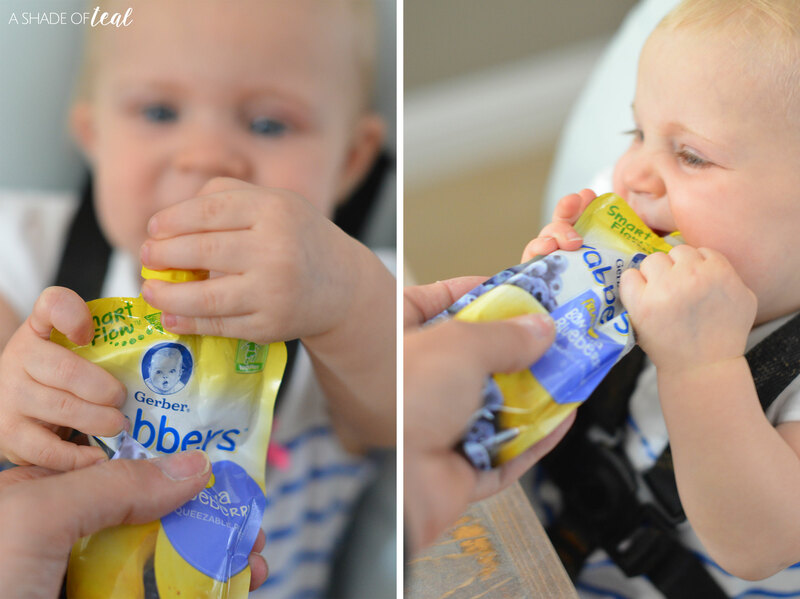 The only thing I’ve found that works are the Gerber® Smart Flow™ Grabbers Pouches. They have a new Smart Flow™ spout which makes feeding time a breeze. Nothing worse than having more food on the floor than in their mouth! The Smart Flow™ spout has a unique clear cap, customized flow control, and molded spout. That means more food in and less mess which is a #PouchWin! Not only are these perfect for my growing toddler, but my 10 month old baby loves them as well. She still needs a little assistance eating them, but no mess equals a happy momma! So make mealtime easy and nutritious again. 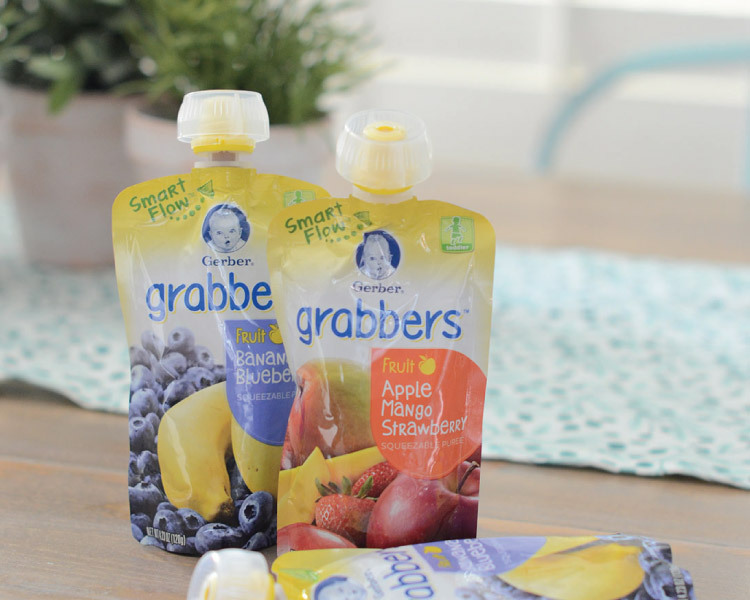 You can find the Gerber® Smart Flow™ Grabbers Pouches at your local Kroger or Ahold store in the baby aisle. If you’re located in the SoCal like me, that means Ralphs or Food 4 less! Make sure to download a coupon before you shop here. Happy shopping, and I hope you can make mealtime on the go easy again like me! Shop Smart this Back to School Season! Wow those grabbers are so convenient! I need to rack up on some for my daughter! She’ll love them, don’t forget to grab the coupon! my babies love these at snack time thanks for sharing these are very popular in the baby world lol! Oh great, make sure to grab the coupon! I have been thinking of getting these for my toddler. I feel like I always need to have some sort of snack with me and these would help out so much! 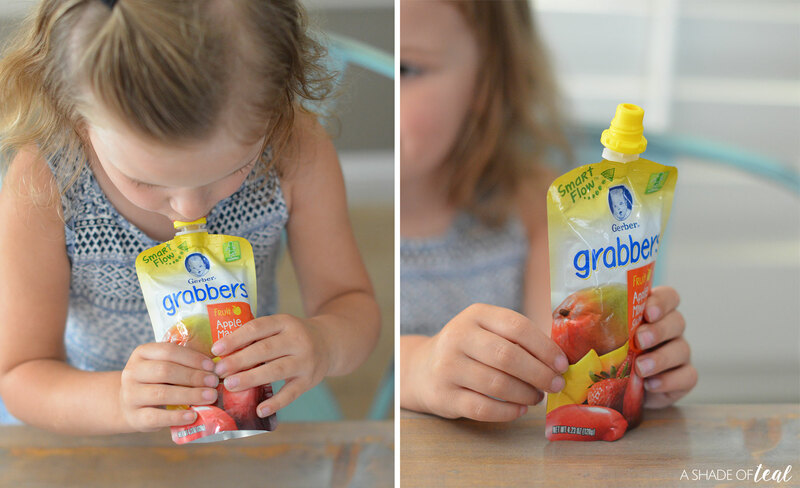 They are so convenient and easy when your on the go, plus they’re delicious. 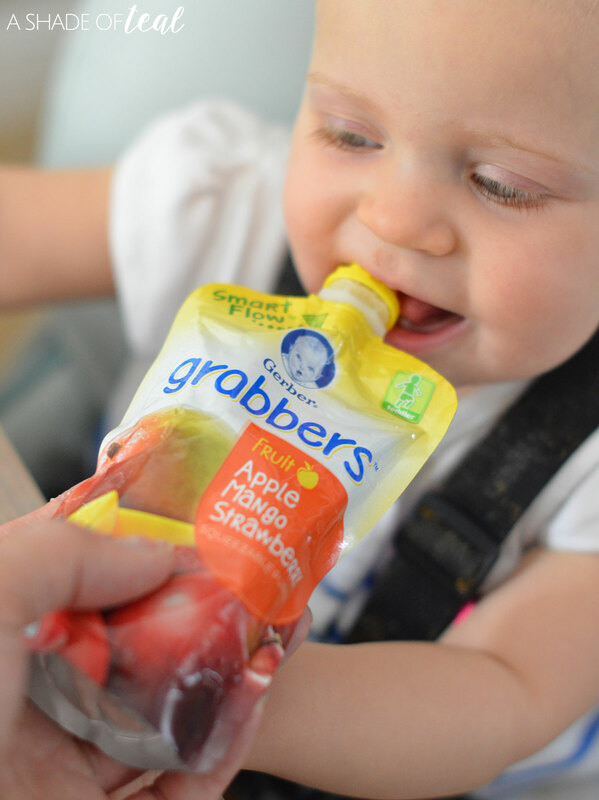 Those grabbers are my son favorites! And I love them too hahaha! They are delicious and so healthy for kids and adults. And everytime we go on a trip, we buy a lot of them! Perfect snack for the road. I know, they are pretty delicious! No, never had that problem. But I always check the expiration date before serving.